Our up and down weather is on a down this week with the temps so a cup of hot cocoa would be great tonight. 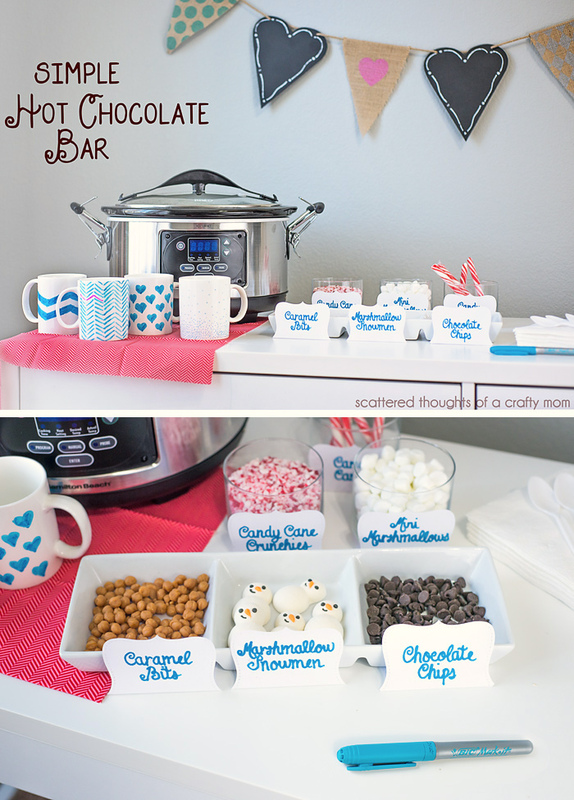 Or better yet it a whole cocoa bar would be a lot of fun. I think this would be great for Valentine's Day too. 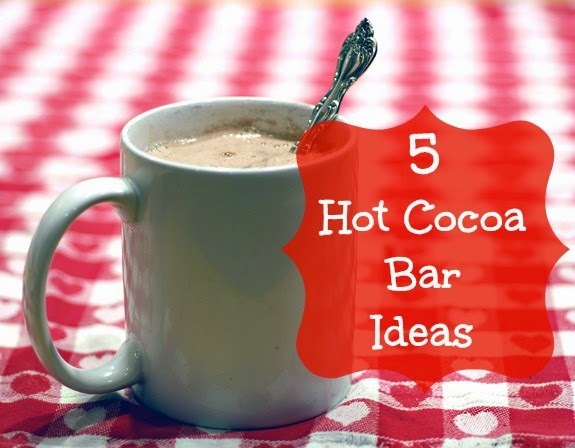 Here are five super ideas for a hot cocoa bar. Any of them could be adapted for Valentine's Day by changing the color scheme or decor a little if necessary. 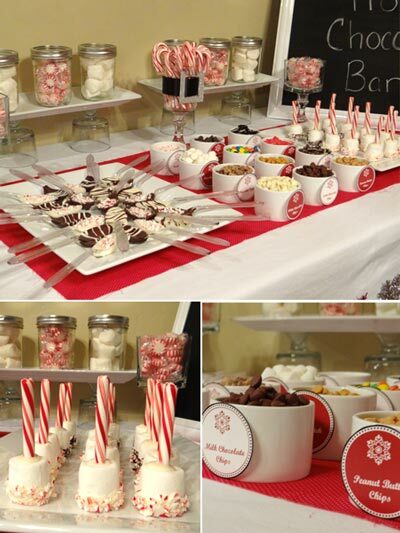 Love how they used upside down glasses and platters to create a raised area for the goodies in mason jars! Love that the mugs were made to match the theme! Love the jars and twine! Perfect if you don't have much space! These look amazing! I could probably drink hot chocolate all day! Thanks for sharing! I think this is just what the kids need for Valentine's day! Thanks!